OzForex Group Limited (ASX:OFX), an international payments provider and Australian broker, has promoted Neville Lacey as its Head of the UK and Europe at UKForex, the group’s UK subsidiary, according to an OzForex statement. 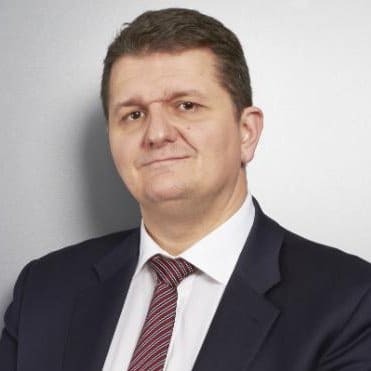 In his new role as the Head of the UK and Europe, Mr. Lacey will be tasked with the management of the group’s London office – his primary mandate will be the continued growth trajectory of the company’s business in Europe as well as the forward guidance of UKForex through its upcoming rebrand to OFX. Mr. Lacey steps into his new role after what has amounted to over two decades of experience in the foreign exchange (FX) industry. This has included senior and executive level roles at the head of many teams and groups, including most recently as Head of Risk and Compliance at Global Reach Partners. He has been with UKForex since last year in August and is currently an acting Executive Committee Member on the Association of Foreign Exchange and Payments. “He also has deep compliance experience, which will continue to establish OFX in an industry-leading position regarding customer security. We are pleased to have a strong management team in place at this crucial time for the business,” he noted. “I’m delighted to be taking on this position at a time when the company has such ambitious plans for growth. OFX has an excellent track record and tremendous potential, and I look forward to leading the London office through this period of positive change,” added Mr. Lacey in an accompanying statement. The appointment at OzForex is the first in the new year and its latest since the addition of Prince Ghuman last month to two new dual roles including positions as its Director of Marketing, North America and Global Director of Enterprise Development.